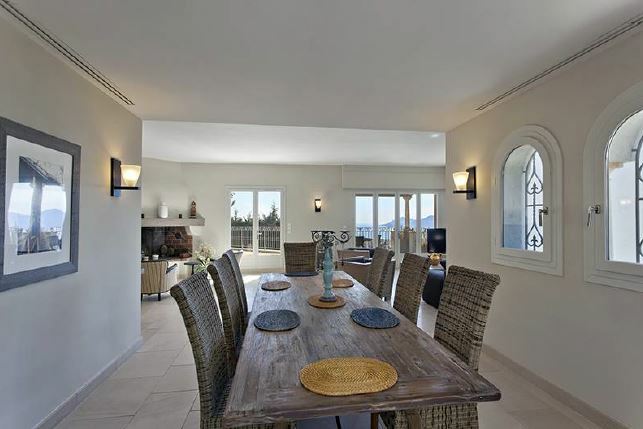 This wonderful villa is situated close to the centre of Cannes as well as the beautiful beaches. The property benefits from a calm and residential area with a stunning sea view. The property comprises of 5 bedrooms, each with an en-suite bathroom, and spacious living areas. The kitchen is fully equipped with open space and a pergola along with the dining room. The living spaces open onto a large terrace with lovely sea and countryside views to accompany the swimming pool.